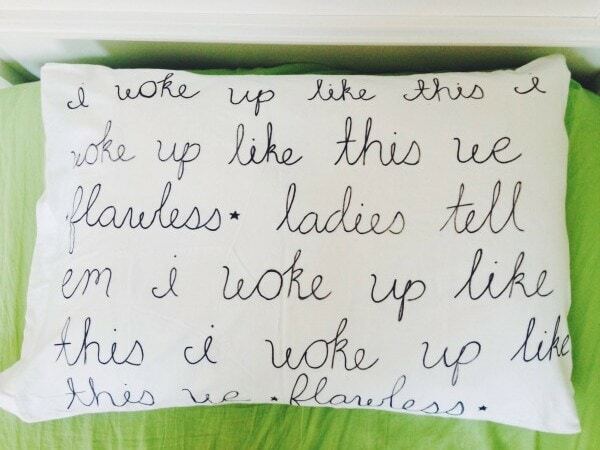 Use your favorite song lyrics to decorate a pillowcase – we used Beyonce’s “Flawless” because we woke up like this. 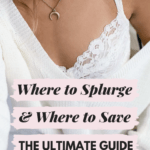 I’m all about jazzing up a dorm room to make it reflect my personal style, and there are plenty of options out there for personalizing almost every part of your college home. From bedspreads to tapestries to colorful rugs, every room accessory is an opportunity to make a personal statement. However, one place where customization is a bit lacking is the pillow category. 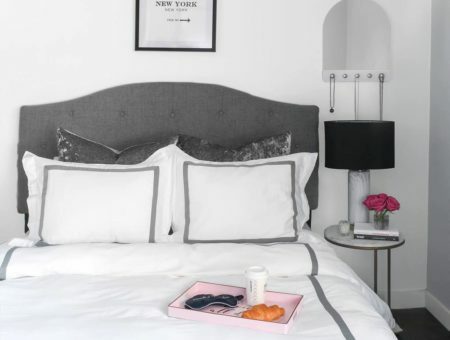 I think the pillow gets a little neglected because it’s often plain white and hidden under a topsheet, but with my help you can turn your pillow into prime real estate for personalization. 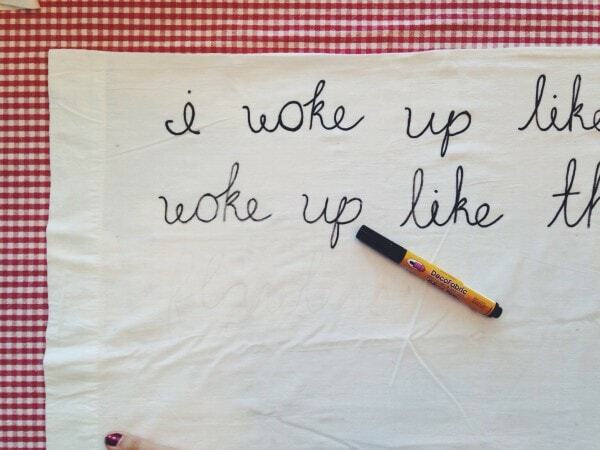 Follow my quick and easy steps to put your favorite song lyrics (or quote or anything else) on your pillowcase. 1. 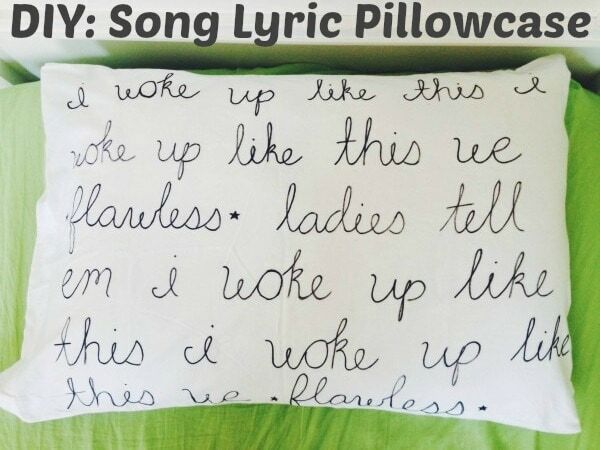 Decide what song lyrics you’re going to put on the pillow, then decide how big you want the words to be. For “***Flawless,” I wanted about 30 words on my pillow, and I figured about 5 words per line, and 6 lines for the pillow. 3. Write out the lyrics in pencil first so you can erase any mistakes. If you’re not comfortable with your own handwriting or script, you can print out stencils online to make it easier. 4. 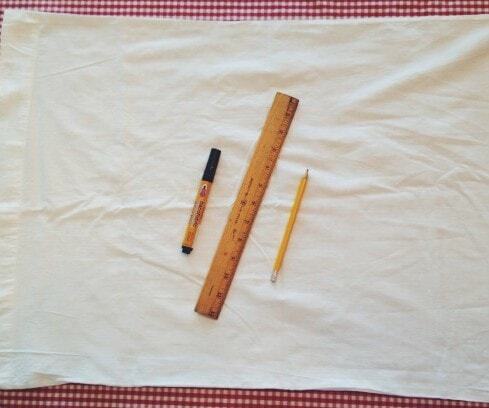 Start tracing over your pencil writing with the fabric marker. 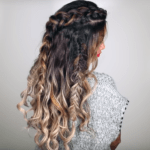 Go slowly and evenly! 5. 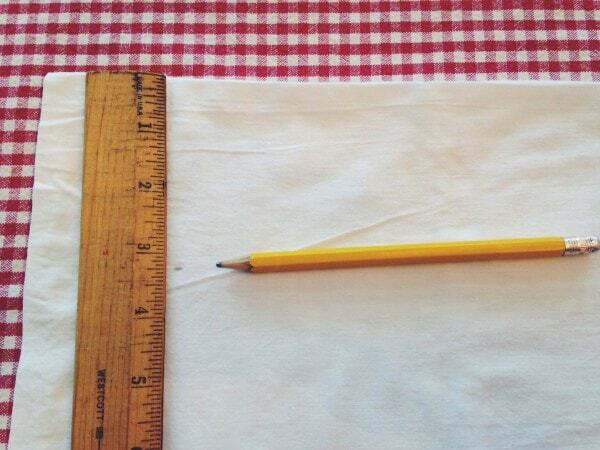 When you’re done tracing, allow the ink to dry and erase any unsightly pencil marks. See, I told you it was easy. 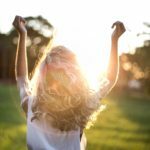 Put your pillowcase back on your pillow and enjoy! The good thing about fabric marker is it will survive many washes, but turn your pillowcase inside out when you wash it just to be sure it lasts as long as possible. As you can see, it’s held up pretty well. 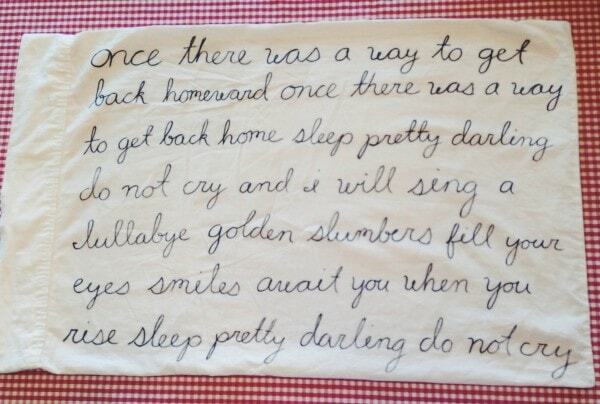 What do you think about this quick DIY project to personalize your pillowcase? 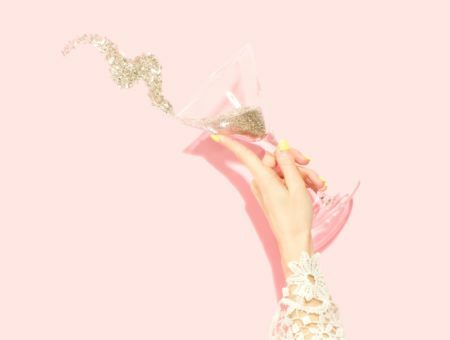 What lyrics would you put on yours? Let me know in the comments!